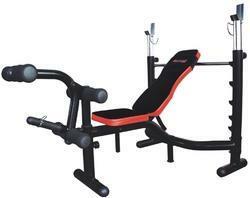 We have weight benches to meet your every exercise need. Our selection includes Olympic weight benches, adjustable benches, preacher curl benches, abdominal benches, back extension benches, utility benches and much more. Weight benches can be paired with other weight lifting equipment to increase the number of exercises that can be performed.